The year was 1997, mid August. Things had been going quite well until then. I was on H1B and was working as a consultant for Fidelity Investment in their Headquarter located in Marlboro, a Boston suburb. Still single and bundled with other single Indian dudes I lived almost a bohemian life. Money wasn’t very good but life went on. Then, one day something drastic happened. Owing to a disagreement with the management my contract was terminated with two weeks notice. My sponsor company gave me two contract choices - go to Spokane, Washington all the way in the west or join a local company in another Boston suburb. 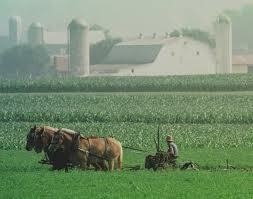 Jobs were plentiful. It took me two seconds to decide. I picked Spokane. I needed a change. I needed to get out of there, start over. I wasn’t due to join in my new job in another week. I decided to skip flying and take a road trip, across America, east to west, Boston to Spokane, just about 300 miles short of Seattle, the west end. 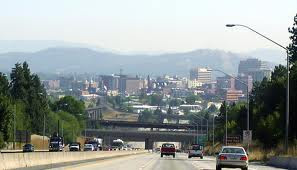 Spokane, a city surrounded by low mountains is located at the junction of Washington and Idaho and not too far from Canada and Oregon. Boston to Spokane was slightly less than 3000 miles. I had several days in hand to reach Spokane. My sponsor company agreed to cover the cost of gas, shelter and food – it was probably still cheaper than the flight. 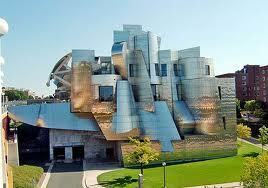 I dipped into the maps and tour books, called ahead to book motels as usual, estimating my progress every day. It was summer and I didn’t want to be caught in a situation where I could not find any shelter to crash for the night. It took me a fraction of a morning to pack up my ridiculously few stuff and take care of a few loose ends like transferring apartment lease. I had two roommates from India, in their mid twenties, several years younger than I was. I went along with them quite well but didn’t have much of a connection. We shook hands, said good bye and I hopped into my used milk white Toyota Corolla 1996 who I named ‘Nilee’ after my first literary bonanza and zoomed into the road little after noon. The excitement was immense, tension quite pleasing, was truly looking forward to the trip. My route plan was simple, drive to New Jersey and catch freeway 80, keep driving until it hits expressway 90 somewhere in Ohio. Continue on 90 which actually cut America east to west. However, there was one planned diversion. I would be steering away toward Minneapolis, Minnesota for a coveted meeting with a prospective bride who was an undergrad in the University of Minnesota. My thoughtful parents had arranged for this as soon as they heard I was going to drive by within several hundred miles. 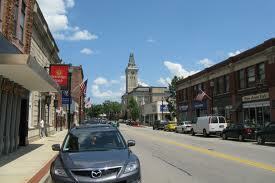 On my first day I drove relatively less, only covering about 350 miles or so and stopping in Bloomsburg, Pennsylvania. I hadn’t been in a truly long road trip until then and wanted to take things easy – careful not to get myself overtaxed. I had a long drive the day after, all the way to Minneapolis, almost 1200 miles. I didn’t even bother to check out the town – something very unlike me - and ate a quick dinner, watched some TV and went to bed. I needed the sleep. At roughly 80 miles per hour on average I was looking at 15 hours of driving. I hadn’t driven anywhere that long before. I was anxious to start. Obviously! Next day I avoided the temptation to stop at road side attractions as I was so used to doing and drove diligently stopping only to refuel and get food. When I checked in the motel in Minneapolis it was already night. My meeting was scheduled next morning. I wanted to look fresh and cute. After a quick supper I crashed into the bed. I slept like a baby. Next morning I was greeted by a beautiful sunny day. I brushed, shaved, bought a bouquet of flower and drove to Minneapolis University Campus. St. Paul and Minneapolis are two large cities located almost next to each other hence they are often shortly called twin city. The university has a good reputation in the area. Challenged with direction it took me a little bit to find the university housing where I was to meet the girl. As I parked into the parking lot I regretfully glanced inside my car – the only place where there was enough room for anybody to fit in was the driver’s seat. The back seat and the passenger seat both were packed to the point where even a needle would have trouble finding room. I wondered whether I should have unloaded some stuff back in the motel. However, that would have meant renting it for an additional night as the check out time was 11 Am. Uncertain on how things would turn out I tried to shrug all worries off and walked to the student housing and rang the bell to the apartment, as per the information my father had given me. The door opened promptly and I was greeted by a young girl, in her mid twenties or early twenties. A man was accompanying him who seemed to be slightly older than her. Not sure who was who I gently introduced myself and took a seat in the small living room. Minutes later another girl who looked even younger, definitely in her early twenties joined us. She introduced herself and I knew I had come there to meet her. She was a pretty girl with a pleasant personality though I felt she was a bit younger than I was expecting. We were expected to go out for lunch together. I had to shyly bring up the point of my packed car and request the other two who I knew by now were married to each other to join us for the lunch and give us a ride in the process. They agreed gracefully. We ended up going into a pizzeria in the nearest strip mall. After lunch we went to a park, walked along the river while all of us chatted as if we had known each other for most part of our lives. Hours later I had to excuse myself from their company and get back on the road. Things here had gone exceptionally well but not good enough to create a connection. We all understood that. Nevertheless the experience and the wonderful little time that was spent were something that was quite valuable by its own merit. When I finally hopped back in the expressway it was already later in the afternoon. 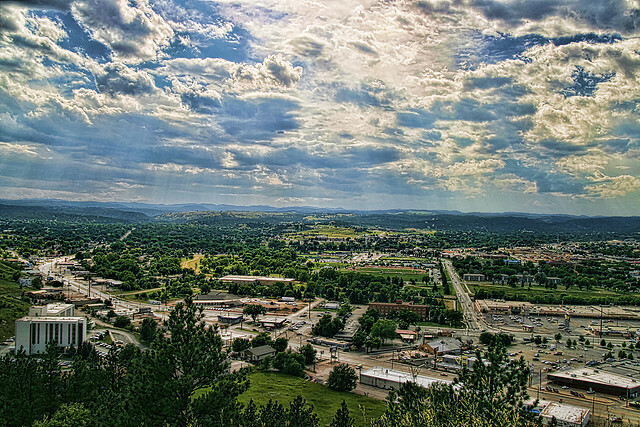 My next planned destination was Rapid City in South Dakota, a tourist hub. It was almost 600 miles away. I felt I wouldn’t be able to cover that much distance before dark – my cut off time for driving - regardless of the fact that by now I was making 100 miles or more per hour consistently. I called ahead to the motel in Rapid City and changed my booking to the following day. As for that night I would have to drive as far as I could before dark and look for a motel in the small towns next to the expressway. I assumed being a well traveled route there would be plenty of motels and finding a suitable one on a short notice wouldn’t be too difficult. Wrong. It was already nightfall and my hunt returned nothing in two towns 40 miles apart. Another 30-40 miles and I exited in the next nearest town, seriously worried. The expressway was already barren and I wasn’t looking forward to be the only car heading nowhere. After couple of more failures finally I hit target - a vacancy in a motel that looked lonely, dark and beaten up – almost like one of those places from scary movies. Worried that I might meet some nuts in this sparsely populated part of the country I quietly rented a room and holed up inside it before the drunken patrons of the small bar located in the motel office had a chance to notice me. Later I heard somebody spitting up remarks like – “go back home”. This was usually directed to the blacks. I wondered if this cowboy knew the difference between African Americans and East Indians. Either way, I wasn’t about to educate him about it. I was awake a good part of the night. I started for Rapid City as soon as dawn broke. I was to stay there for one night only, however there were too many things to see and do. I wasn’t sure if I would have enough time. 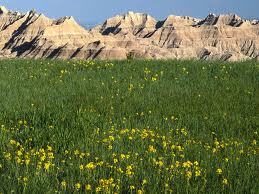 South Dakota is famous for many things; black hills are only one of them. 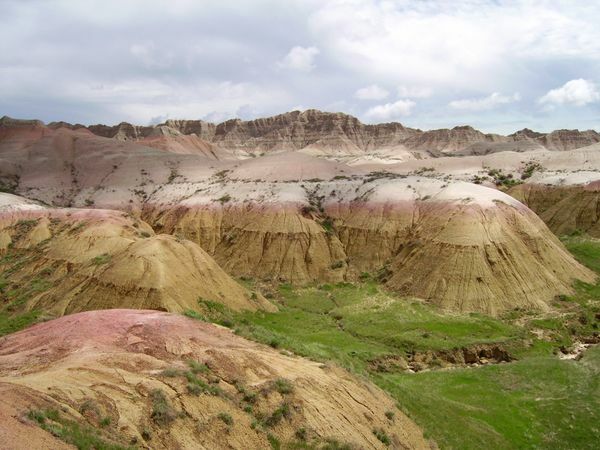 The badland national park is a very scenic part of the landscape. Dotted with beautiful hills, meandering roads and occasional native Indian souvenir stores – the area enjoyed a healthy traffic of summer tourists. Reluctant to spend too much but yet quite taken by the display of wonderful Indian crafts I was tempted to buy two souvenirs from one of the stores – an Indian knife and a lonely native Indian boater, both of which are still in my possession. 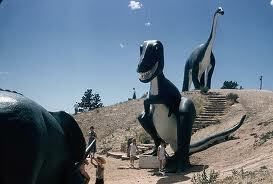 Rapid City and vicinity has many world famous attractions. 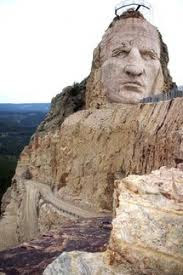 Namely: Mount Rushmore National Memorial, Crazy Horse National Monument, Dinosaur Park, the Devil’s Tower National Monument (located in Wyoming but not too far from Rapid City). I wasted literally no time and tried to cover as much as I could. I hadn’t checked in the motel in Rapid City until late in the evening. It was a quiet and pleasant place with a small indoor pool – quite different than my experience the night before. I had the pool all to myself until they shut the facility down around 9 PM. 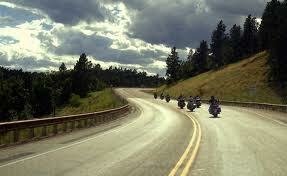 Next morning as I drove out of Rapid City I noticed thousands of bikers on the road, all heading west on expressway 90. Curious I kept close to a large group and followed them to Sturgis, a town not too far from Rapid City and found out that the town was having its Bikers rally for 1997. With no prior knowledge on how popular this rally was I was astonished to see a sea of bikes – all kinds and makes – and the swarming bikers both male and female in their fanciful biker’s clothing. 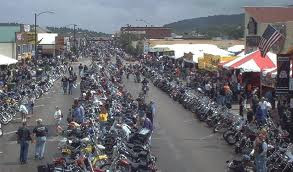 Later I read that this particular rally usually attracts over half a million bikers and their families. Interestingly most were Caucasian with a handful of Blacks. I was definitely the only Brown guy around as far as I could tell and that was also in a car. I noticed a helicopter was offering 15 minute rides for $50 to provide an aerial view of the rally, which was more than I was willing to pay. Fortunately a TV crew had just arrived and I was allowed to hop in along with the crew for half the price. No wonder all I saw from up in the air was more bikes. This was a true extravaganza for all bike enthusiasts by all means. I was anything but one. 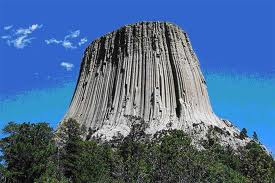 Once back on the ground I climbed into my four wheeler, pulled it out back in the expressway and headed for Devil’s Tower – close to 80 miles away. 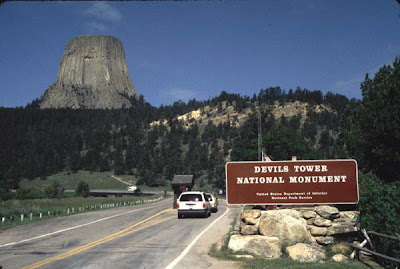 Devil’s Tower turned out to be quite interesting. With its summit over 5000 feet above sea level this naturally beautiful rock formation has a dramatic effect in the otherwise plain surroundings rising ~1,200 feet above the ground. 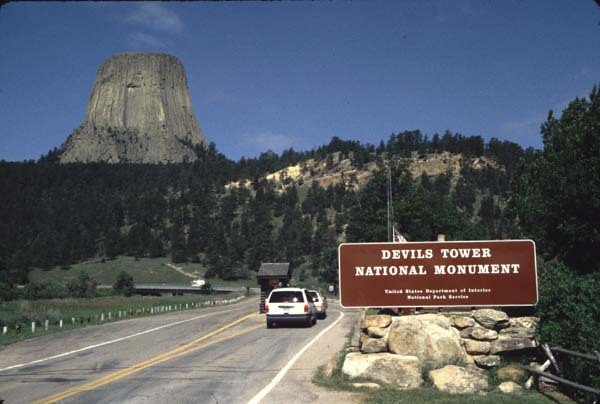 It is the first of all National Monuments in USA and a very popular spot for tourists and rock climbers scaling the almost vertical surface using traditional climbing techniques. I found many families visiting the spot with kids who were having a blast climbing up the large boulders that were scattered at the base. 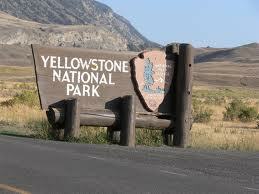 My next destination was Yellowstone National Park in Wyoming with the plan to stay the night in a small town called West Yellowstone in Montana right off the border of Wyoming and in the midst of the Rockies. This was about 550 miles from Devil’s Tower. With the sun being around past 8 PM I knew I could reach there comfortably before nightfall. I drove on 90 West through Montana until I hit 89 near Livingston. Running South into Wyoming this road led me into the famous Yellowstone national park – a place that can easily mesmerize any traveler with its natural beauty, flora and fauna and diverse wildlife. 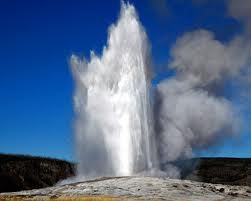 However, the primary reason why this park was established as the first National park of America in 1872 was for the geysers – Old faithful (located over a mile above sea level is called one of the most predictable geographical feature on earth erupting on average almost every 91 minutes with eruption height up to 185 feet) and majority of the world’s geysers are preserved here. 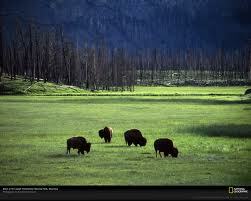 As I drove through the park I was fortunate to see herd of Bison and elk and even a grizzly bear. I had to wait almost an hour to see the Old faithful go but the wait was totally worth it. However there’s one thing I learned that didn’t completely match what we learned in school – geysers do not erupt in a fixed frequency. Instead they have a range. 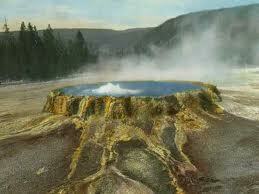 Old faithful have a range from 45 to 125 minutes. After roaming through the Yellowstone Park until late in the afternoon I drove to West Yellowstone – a small town in the Rockies about 7000 feet above sea level. I had a motel room booked in advance. This was actually a good idea as most motels looked pretty full. I called Bangladesh from a pay phone here to inform my parents about my whereabouts who were eagerly following my progress. My father had purchased a map of USA and seemed to know more about the landscape than I did. The following day I drove about 500 miles through the Rockies in Montana and Idaho reaching Coeur d’ Alene around late afternoon – a beautiful little city and a tourist hub in Idaho located next to lake by the same name. 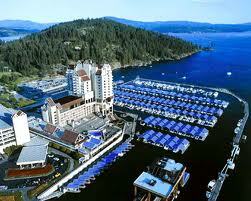 Spokane is only a short distance away from here. I was so impressed by the natural beauty of the city that later I wrote a story based on the location. Later that evening I drove to Spokane and checked into a hotel. 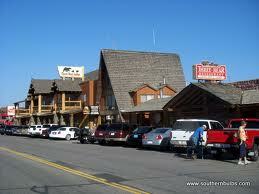 Located by the Spokane River it is considered the most productive mining district in North America. 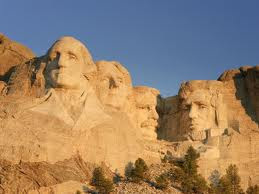 It is also known for the birth place of Father’s day. 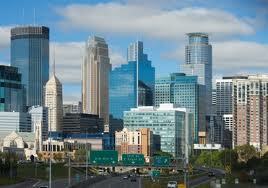 The metropolitan area has close to half a million people. In the next couple of days I roamed around to rent an apartment and finally settled in one next to a farm house that had several Emus and a wonderful view of the Selkirk mountain far behind. Mount Spokane was the highest peak of this mountain rising almost 6000 feet above sea level and had a road suitable for driving all the way up. Six months later I went back to Bangladesh and were married to a beautiful girl. We returned to Spokane together. 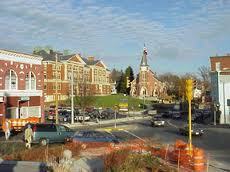 Two month later I quit the contract and arranged for a new job in Massachusetts. Interestingly enough, we drove back to Boston, bouncing off Toronto to see couple of my friends who lived here. Two and half years later we moved to Toronto. Great! I really liked the article. And, sending it to my two kids - one in grade 9 and the other one in grade 6. It was an outstanding trip story. Very exciting .It looks like that he author is an expert Geographer. I'm attempting to create my very own blog and would like to learn where you got this from or exactly what the theme is called. Thanks!